This is the first in a series of Tata Nano Car updates that I shall publish for my readers in the weeks and months ahead. All my information will be sourced from other resources, including Nano’s official website, but I have plans of visiting Nano’s upcoming mother plant at Sanand and share, if possible, some first-hand experience from there as well. Let me remind you for now that Nano will be launched at a function in Mumbai on 23rd March. The car will be put on display at Tata Motors dealerships from the first week and bookings will commence from the second week of April 2009. Nano’s official website claims of having recorded 3 million hits until recently. I have had a solitary post on Nano before this one, and that too seemed to be visted by netizens from all over globe. So this 3 million claim should not suprise one! 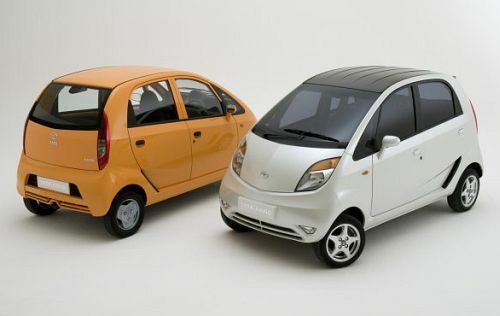 Let me link you to some important articles and photo galleries of Tata nano, before I wound up for tonight. I want to know if Tata Nano is available with Auto Gear system and is any subsidy is given to physically challenged persons….